Buildings or structures in Longstone CC area that are designated as of special architectural or historic interest and/or ‘Listed’ by Historic Environment Scotland to require special treatment under the Planning Acts. Slateford House, 53 Lanark Road: grade B. c. 1770. Chalmers Memorial Hall (see gallery item below). 51/51a Lanark Road. Photo below shows the crest above the main door. 'DC' is David Chalmers. 47-49 Lanark Road. Late 19th cent 2-storey building. Listed grade C (LB51159). Tenement on 1st floor converted to offices. Designed by Ian G Lindsay & Partners c1970s. In 2019 occupied by EHS Architectural Ltd (ironmongers). 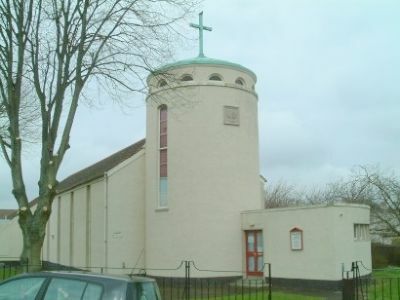 Former Slateford Secession Church at 45 Lanark Road: listed grade B (LB30017). Including gateway on Lanark Road. From 1785 but recast in 1826. In 2019 occupied by Walker Slater Tailoring Ltd.
Old Manse, Slateford, 45 Lanark Road: listed grade B (LB30122) Behind the above former church. 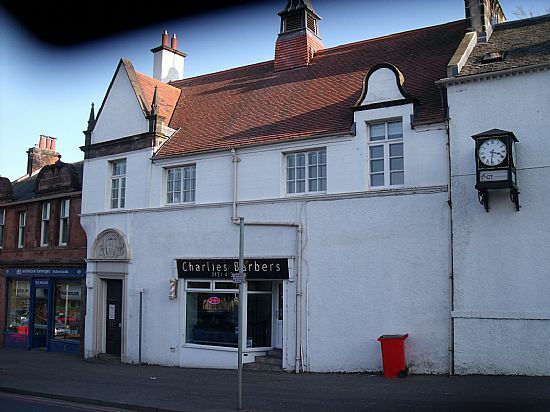 Cross Keys Inn, Slateford, 43 Lanark Road: Listed grade B (LB30121). 18th century. 2019 being converted to flats. Millbank, 15 Redhall Bank Road: listed grade B (LB28090). Mid 18th century. Former toll house on old Lanark Road. 8-10 Redhall Bank Road: listed grade B (LB29617). Double cottage, single storey with attics. Archt: Sir James Gowans, 1850s. Inglis Bank, 4 Redhall Bank Road: grade B (Archt: Sir James Gowans, 1850s) Listed grade (LB29616). 97 Lanark Road (former lodge): listed grade C (LB30321) Archt: Sir James Gowans. Redhall Gardens (access from Lanark Road): Listed grade B (LB28119). (see link on LINKS). Union Canal Slateford Aqueduct over Inglis Green Road and the Water of Leith by Hugh Baird (engineer) 1818-22: grade B. In addition the whole Union Canal is a Scheduled Ancient Monument under the supervision of Historic Enviroment Scotland. Slateford Railway Viaduct over Inglis Green Road, Gray's Mill Lade and Water of Leith by John Miller 1840-42: grade B.
Troqueer (327 Lanark Road) by James Morris, c.1914. Since altered and extended. Housing scheme (between Longstone Road, Longstone Park and Kingsknowe Road North) by Eric Hall & Partners, 1964-5. This site was previously occupied by a small square with two-storey old-fashioned flats around it called 'Maxwell's Close'. There was also a row of houses along Longstone Road called 'Maxwell's Buildings'. 26A Inglis Green Road. Apparently built in 1913 by John Alexander Inglis (superior) for The Trustees for Public Hall and Institute for Inhabitants of Slateford, Longstone and adjacent District and Parish of Colinton. Building and grounds gifted on 10 June 1998 by Alexander Ballantyne, presumably one of the Trustees, to The Trustees for Lodge Water of Leith No. 1267. He is the Lodge secretary. Lothian Buses original office and canteen (corner of Longstone Road and Murrayburn Road). 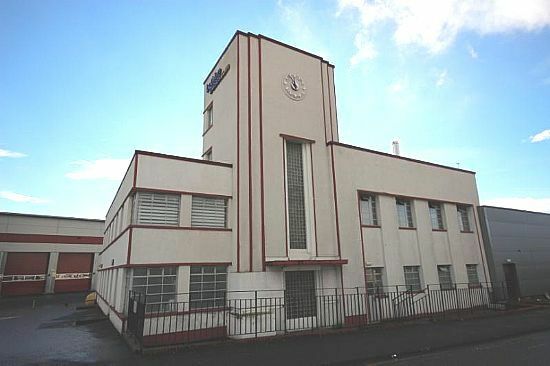 Designed by T Bowhill Gibson and Laing in 1949 in the Art Deco style and built in 1955 (later altered). Listed Grade C (LB52441). Redhall Grove. Designed by Reid & Forbes 1954-7 in the modernist Dutch (Dudok) style. Listed grade C (LB 52405). Kingsknowe Road North. Designed by Leslie Grahame MacDougall and built in 1954. 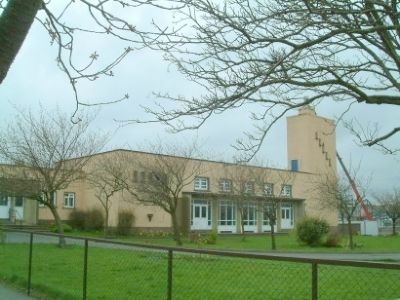 Originally designed as a dual-purpose hall-church, but since extended. See LINK to the church's website. 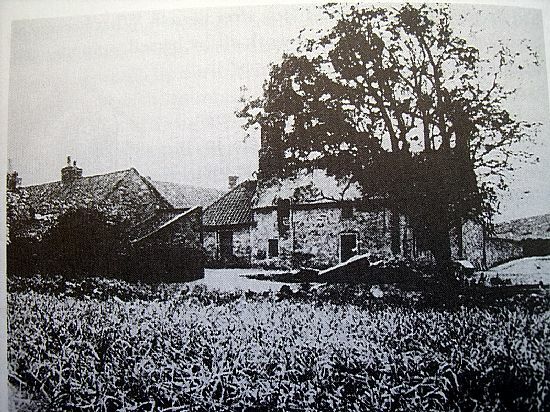 Graysmill Farmhouse (photo date unknown but perhaps in the early 19th century) May be the old farmhouse. Taken from the north. Since demolished.